Voted by TripAdvisor as the highest Traveler Ranked resort in Ely, Minnesota! We are a 5-star rated resort with 6 lakeside cabins. This is perfect for a comfortable get-away with family, friends, the guys, the ladies or as a couple. Our specialty lodge in Ely has boats, canoes, kayaks, and even fish finders available to our cabin guests. We have over 30 years of experience as a Boundary Waters Outfitting Service and plan everything from permits to pick up. Our company provides superior, full canoe outfitting packages with quality Kevlar canoes, paddles, life jackets, tents, food and all other necessities. Our Guided Wilderness Day Trips in Ely will teach you techniques for fishing in northern Minnesota. Learn how to catch walleyes, northern pike and smallmouth bass in the BWCAW or Ely area lakes. Or if fishing isn’t your thing, enjoy our Eco-Tourism canoe trips where we educate you on the flora, fauna and history of the Boundary Waters. Trolling for a Boundary Waters Outfitter or Ely Resort? There are many Outfitters and Resorts around the Boundary Waters and Ely MN, but only Moose Track Adventures takes the #1 spot on Trip Advisors. We handle it all – we are a Boundary Waters Outfitter and Canoe Guide Service, Fishing Guides, and have a resort with lakeside cabins. Our resort is nestled just outside of Ely with 6 lakeside cabins. This is perfect for a comfortable get-away with family, friends, the guys, the ladies or as a couple. Our specialty lodge in Ely has boats, canoes, kayaks, and even fish finders available to our cabin guests. And if a cozy cabin stay isn’t quite what you had in mind and you wish to be immersed in the Boundary Waters – turn to our superior Ely outfitting services. We’ll equip you with top quality gear and help route your Boundary Waters or Quetico Park Wilderness Adventure. If it’s high time you surround yourself with all the beauty Ely has to offer. Whether in a cabin near the shore or with a fishing pole in your hand, there is nature at every turn. 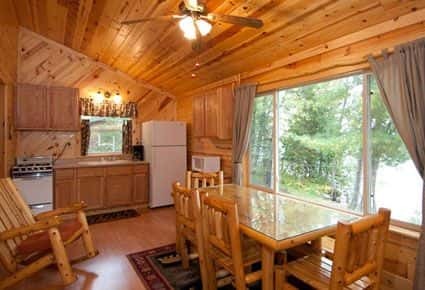 Moose Track Adventures is an amazing choice for a northern Minnesota get-a-way at a Lakeside Resort in Ely. Get out on the lake, your own private dock, and enjoy hassle free boat rental, then finish your evening with a fire and a delightful pillow top mattress. Our clean, modern and beautiful cabins are kid, family, dog and couple friendly and furnished with everything needed to cook; including pots, pans, spatulas, charcoal grills, oven, crockpot, fridge, coffee maker, microwave, soap, toilet paper and high thread count bedding. The only thing we ask you to bring are towels, dish sponges and your own food. If our lakefront cabin is a bit too civilized and you’re looking to let your spirit animal out, there is no place better to go than the Ely Boundary Waters Outfitters at Moose Track Adventures. We have decades of experience as a Boundary Waters Outfitting Service and plan everything from permits to pick up. By choosing our BWCA Outfitting Services you’ll ensure all the canoe and camping equipment you have on your trip is top quality. Our equipment includes brands such as – North Face, Marmot, and Mountain Hardware. We make our Boundary Waters Outfitting Services simple for you by providing a superior, full outfitting package which includes quality Kevlar canoes, paddles, life jackets, tents, food and all other necessities. You won’t find patches, holes and other unwanted surprises. We only outfit our travelers with equipment that is new or in gently used condition and ensure the load is manageable both physically and financially. This ensures that you’re well on your way to being a ‘Happy Camper’! Moose Track Adventures Resort, Boundary Waters Outfitter & Guide Service, is family operated and rated the best Resort and Guide Service around Ely and the Boundary Waters Canoe Area Wilderness. Visitors come to Ely to enjoy fishing, swimming, relaxing, boating and making family memories. Whatever the amount of wilderness you prefer on your Ely vacation, we can help you set the dial. We’ll have you relaxing lakeside at our Lakeside Cabin Resort or on a Guided Canoe Trip through a few of the thousands of lakes, streams, rocky shores, sandy beaches, breathtaking views around the area. Located just 7 miles outside Ely Minnesota, Moose Track Adventures Resort has easy access to many recreational activities offered in and around the Boundary Waters. You can take a day-trip and canoe into the Boundary Waters right from our docks, spend your early mornings/evenings out fishing in a motor boat on the White Iron Chain of Lakes or go for a day hike on Basswood Hiking Trail or Kawishiwi Falls Hiking Trail. Our Ely Minnesota Resort is the perfect setting to experience the natural beauty of Ely, MN and the Boundary Waters Canoe Area Wilderness. We offer Guided Canoe Trips as well as Guided Fishing, Guided Fly-Fishing and Guided Eco-Tourism Trips in the famous Boundary Waters Canoe Area Wilderness (BWCAW) and Quetico. 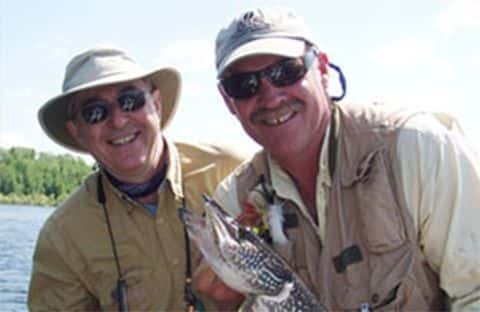 Our Guided Fishing Trips in Ely will teach you techniques for fishing in northern Minnesota that will help you catch walleyes, northern pike and smallmouth bass in the BWCAW or Ely area lakes. The Eco-Tourism canoe trips will educate you with the flora, fauna and history of the Boundary Waters. With over 7,000 acres of trophy fishing available from your cabin door and with the Boundary Waters just a rod tip away, your fishing opportunities are endless. Our family operated resort and Boundary Waters Outfitters in Ely offer seasoned and experienced resort operations, outfitting equipment rentals and guided tours May through September. 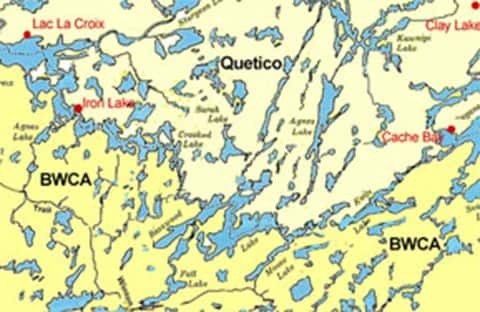 We are dedicated to personalizing your experience in Ely, the Boundary Waters and/or Quetico Park to fit your needs, desired experience and abilities. Have fun, relax and learn something too with the many wilderness options Moose Track Adventures have available for you. Experience Ely, Minnesota like never before, when you partner with Moose Track Adventures. 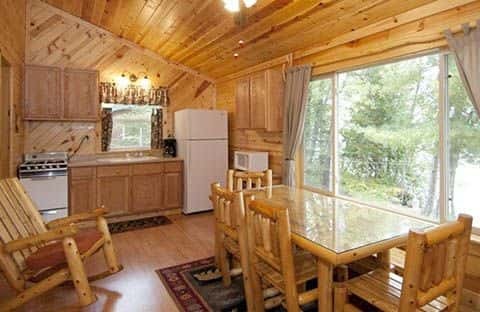 Contact us today to check availability of our Lakeside Cabin Resort in Ely, our Boundary Water Outfitting services and guided canoe trips and guided fishing trips by calling us at 218-365-4106.